PRAGUE (Bloomberg) -- Skoda said its deliveries in July rose 6 percent to 72,600 cars from a year ago. The deliveries for the first seven months of 2012 rose 8.1 percent to 565,500 vehicles, the Czech-based Volkswagen Group subsidiary said in an e-mailed statement today. Skoda has been one of the fewer mass-market automakers to grow in Europe during the current slump. The automaker's European first-half sales were up 3 percent to 269,479 vehicles. Meanwhile, Skoda rivals such as Fiat, Peugeot, Citroen, Opel and Renault all suffered double-digit declines in the first half, according to industry association ACEA, which will release July and August sales results for Europe next month. A key reason why Skoda has bucked the downward trend is because the brand is in the middle of its biggest model offensive ever. In Europe, Skoda recently launched the Citigo minicar and it will debut the family-oriented Rapid compact in the autumn. Skoda's long-term strategy is to sell 1.5 million cars a year by 2018. 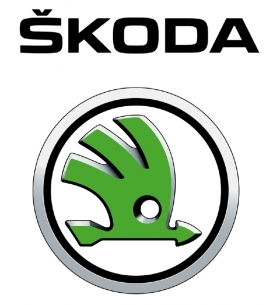 Last year, Skoda increased global sales 15 percent to a record 879,200 vehicles.